The Aztecs open eight crew prepares to compete during the San Diego Crew Classic at Mission Bay on April 7. 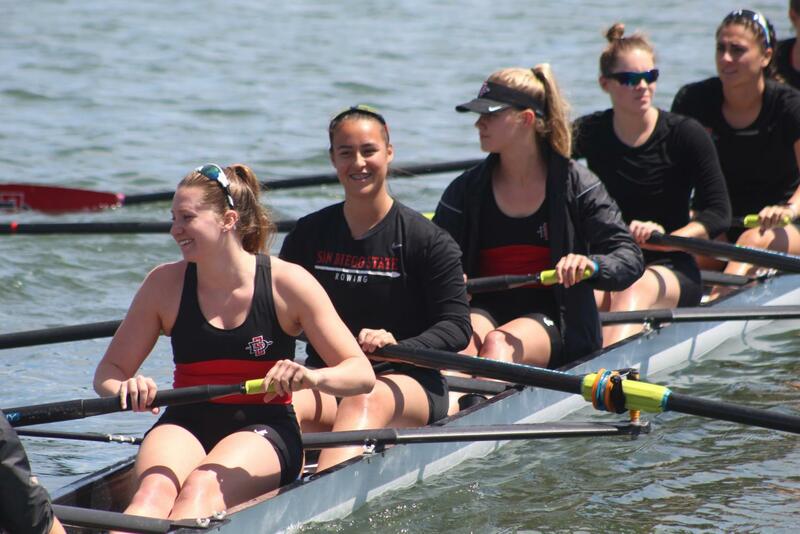 San Diego State rowing wrapped up the 46th annual San Diego Crew Classic in Mission Bay over the weekend. 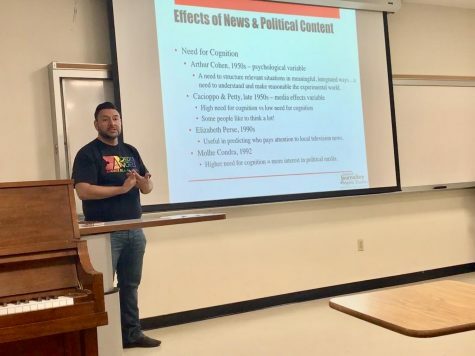 Schools from all across the country descended on Crown Point Park to compete in the event, including the top-four ranked: Washington, UC Berkeley, Stanford and Texas. Head coach Bill Zack said the team gained valuable experience by going up against such strong competition. The Aztecs failed to earn better than fourth place in four events on Saturday but qualified for three petite finals in Sunday’s finale, beginning the day with a first-place showing in the Varsity 4+ Karen Plumleigh Cortney Cup Petite Final. 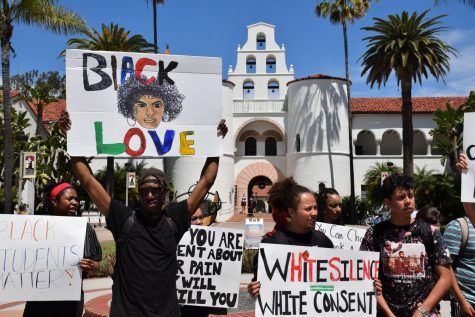 SDSU won the race with a time of 7:34:301, edging out second place Washington State and third place Loyola Marymount by three seconds. 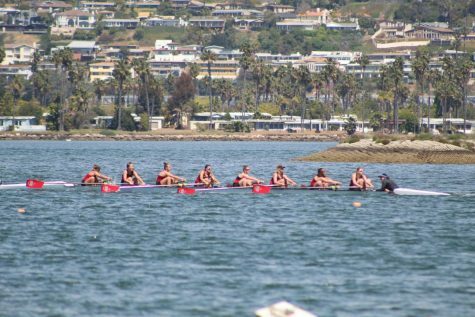 The Aztecs open eight crew competes during the San Diego Crew Classic at Mission Bay on April 7. The Aztecs second-best finish of the day came from the second varsity eight’s, who finished third in the Jackie Ann Stitt Hungness Trophy Petite Final behind first-place Oklahoma and second-place Sacramento State. Senior rower Hannah Norris controlled the bow during the race, and said her teammates had set a goal of surpassing their performance from Saturday. Competing in her final San Diego Crew Classic, Norris said it has been special to participate in the event and watch her teammates grow over the years. The Aztecs wrapped up the final day with fifth place finishes from the varsity eight’s in the Jessop-Whittier Cup Invitational Petite Final and the varsity four’s in the 4+ B Final Only, along with a seventh place finish from the open eight crew in the Carley Copley Cup Final 1. 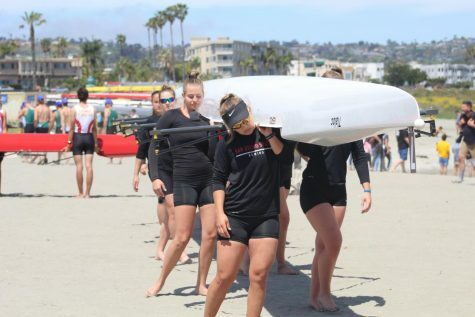 The Aztecs open eight crew carries their boat into the water before their race during the San Diego Crew Classic at Mission Bay on April 7. Junior rower Jannette Hermosa controlled the coxswain for the varsity four crew, and said the team benefited from competing in a familiar environment. “We practice here every morning so we have the home-course advantage, and we know every little detail of the bay, so that just makes it special for us,” she said. 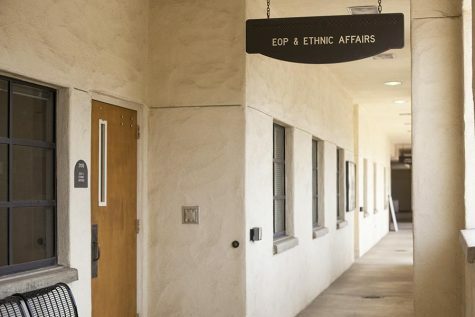 The Aztecs return to competition with a dual-meet against UC San Diego on April 19, before heading up the coast to compete in the WIRA Championships on April 27-28 in Gold River, California.